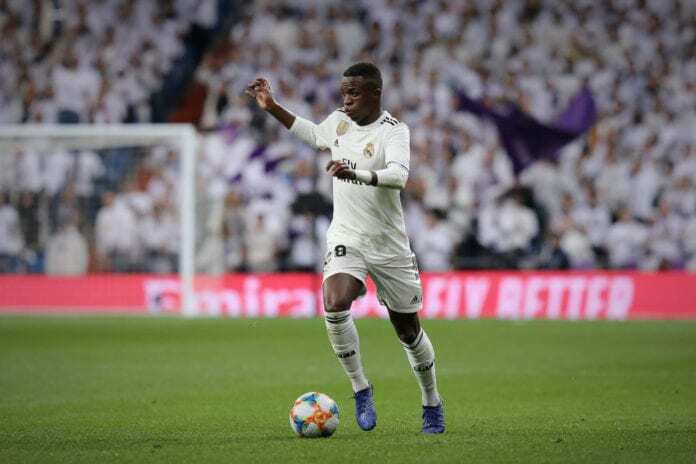 Is Vinicius Junior ready to take Bale’s place in Real Madrid first team? Vinicius Junior has started the new year in fine fashion. He scored on his last La Liga appearance against Alaves and helped his team to reach the Copa del Rey semi-finals. Real Madrid acquired the young Brazilian in 2017 for a reported fee of €46 million from Flamengo. He became the second most expensive player in Brazilian football history, behind Neymar Jr. who had cost Barcelona €86 million. Vinicius completed his move to Madrid, after his 18th birthday last summer. He started the 2018/19 season with the second team – Real Madrid Castilla. Having scored 3 goals on his 4 appearances in the Segunda Division B (third tier of Spanish football), he made his Real Madrid debut on September 29 in the goalless draw against the city rivals, Atletico Madrid. He scored his La Liga debut goal in the 2-0 victory over Real Valladolid at the start of November and step by step started to gain Santiago Solari’s trust. Vinicius Junior has had a fantastic start of the year. He made his full La Liga debut and scored two goals in the games that followed. The Brazilian had his first outstanding performance in January in the Copa del Rey round of 16 first leg against Leganes, where he managed to score and assist one. He continued his excellent form in the Cup, as he wrote 3 assists in the quarter-final games against Girona. In his last game, Vinicius put on a show in the 3-0 victory over Alaves on Sunday night. The 18-year old Brazilian is playing with big confidence at the moment. 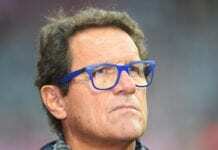 He said that he is not afraid of the tough run of fixtures that await Real Madrid in the next period. The years is just a number in modern football, as we already have teenagers as big stars in the game. Playing for the first team is the most important thing for a single footballer to be able to continue his development on regular basis. We can just look into the example of Kylian Mbappe, who developed from top talent in AS Monaco to World Cup winner with France only a year and a half later. Minutes on the pitch is what Vinicius Junior needs as a young talent and his manager Santiago Solari knows that. It would help him grow even more confidence, which is also important for a striker. He will become a better player with every minute he plays and every single goal he scores. He will also have the chance to upgrade his talent and become the leader of the next Real Madrid generation. Gareth Bale has been injured at the start of the year yet again. He missed 6 games in January, making the overall number over 70 missed games as Real Madrid player. His injury record just won’t allow him to fulfil his full potential and maybe it is time for Los Blancos to move on. They now have a successor for him, as Vinicius Junior can perfectly play on his position, as he already showed. This summer also may be the last chance for Real to get big money out of Bale. Does the time finally come for his potential return in England?